Lorena Angulo: Haiti Ring Auction ! 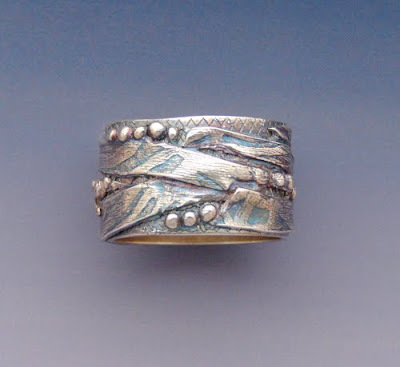 Come and visit the "Haiti ring auction" to help the people from Haiti. Artists got together and donated beautiful rings to help in this terrible disaster. Every day two new rings will be in display to be auction, all the process will be going to an organization that is helping Haiti. 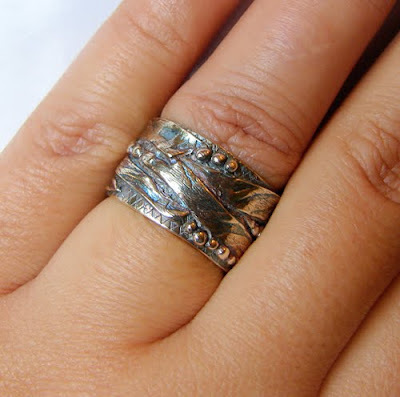 My ring is made with pure silver metal clay and has a beautiful LOS patina, the size of this ring is 8. You should try it !!! I am sure you will make an amazing ring ! A little about my life.